Another new addition to my pasta recipes. 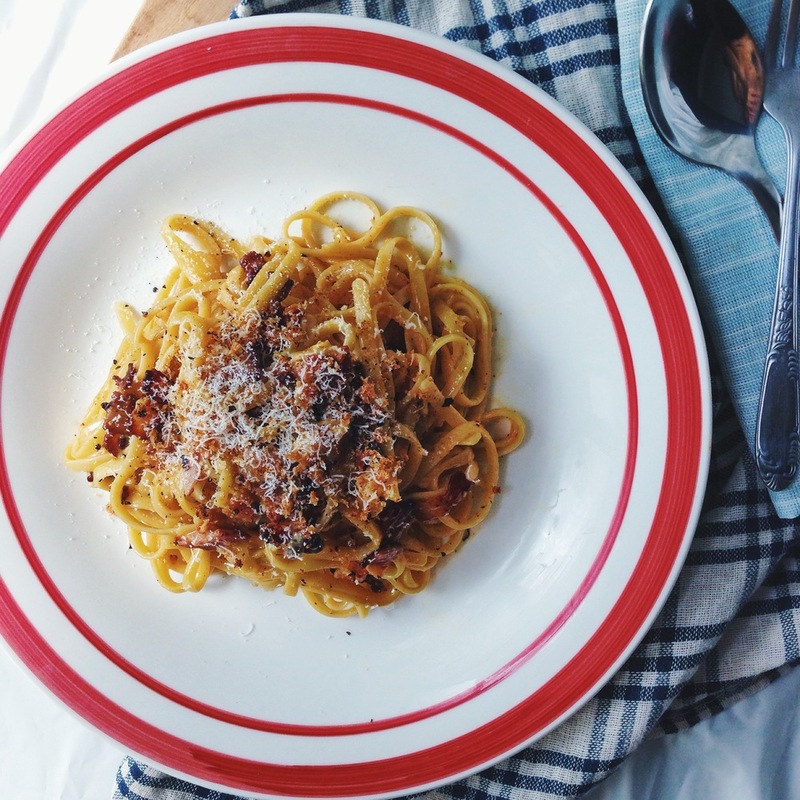 One of the harder recipes in getting the right method and balance of ingredients in order to churn out what I believe is the most authentic and Italian way of making Carbonara. As I'm doing the traditional way of Carbonara which doesn't include the adding of cream, it took me quite a number of attempts to get it right (from being too creamy through spamming of yolks to too watery-bland tasting Carbonara). I did a small twist to it by adding garlic toasted bread crumbs, which give a different texture and new flavor to this dish. After getting the right amount of eggs & yolks(I use 1 whole egg and 2 egg yolks for a single portion), the next crucial step will be getting the right creamy consistency. By the double boiling method through mixing the pasta with the egg-cheese mixture in a glass/metal bowl over a simmering pot of boiling water. Prep boiling water for pasta (1/2 tbs of salt and dash of olive oil in the boiling water before putting your pasta in). Cook the pasta according to the package instruction, set pasta aside (1 minute before al dente). In a bowl, mix the egg, egg yolks, freshly grated cheese and a good amount of ground black pepper. While cooking pasta, sauteed the bacon strips with 1 tsp of fresh black pepper in a pan (with 1tbs olive oil) until lightly brown. Add in 2-3 tbs of pasta water, simmer with bacon for a minute or two. Add in the pasta (a minute before al dente)with the bacon mixture and finish the pasta to al dente in the pan. Prepare a glass/metal bowl, mix the bacon pasta with the egg-cheese mixture in the bowl over simmering (pasta) water(low-med heat). 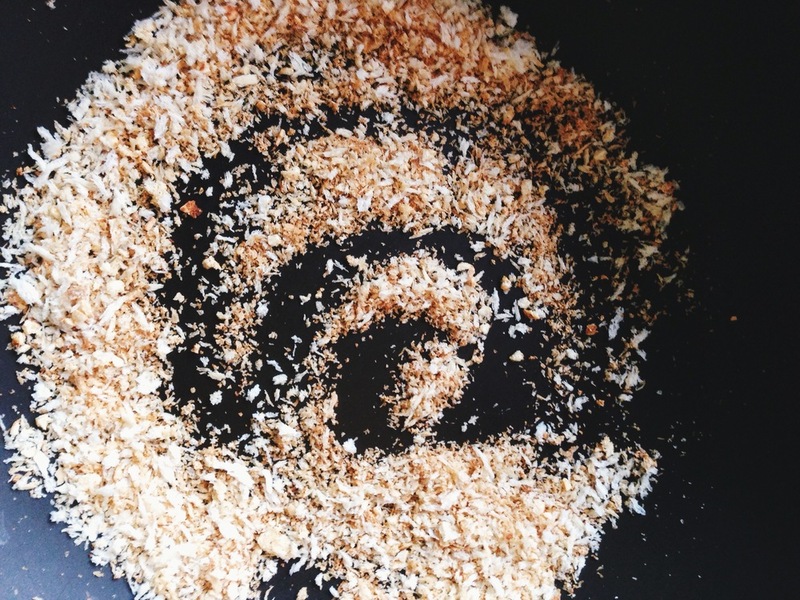 Keep mixing until you get the creamy consistency (set the bowl off the simmering water if it gets too hot). Consistency should be shiny and creamy. Add in more pasta water if it gets too thick. Taste and adjust with more black pepper and salt. Serve in plate and topped with more grated cheese and bread crumbs. And it's DONE! 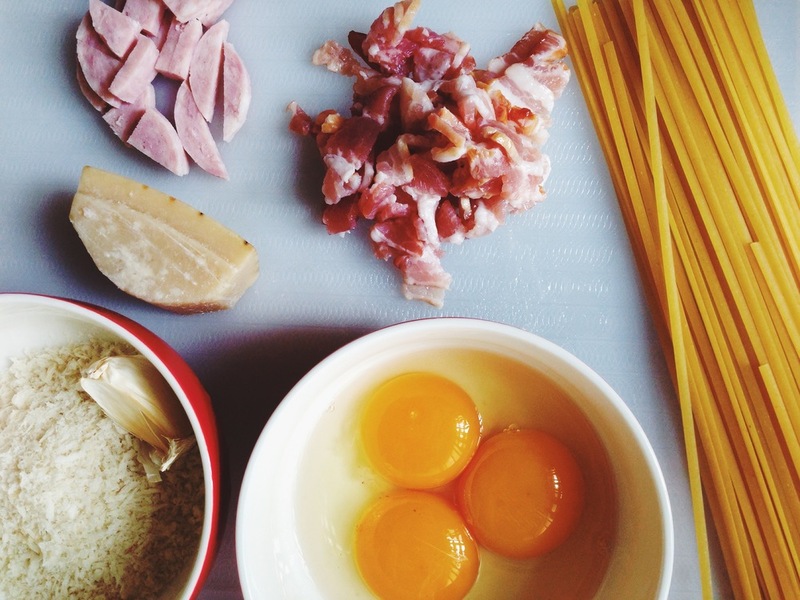 If you like really heavy and thick carbonara, you can add more yolks to the egg-cheese mixture. 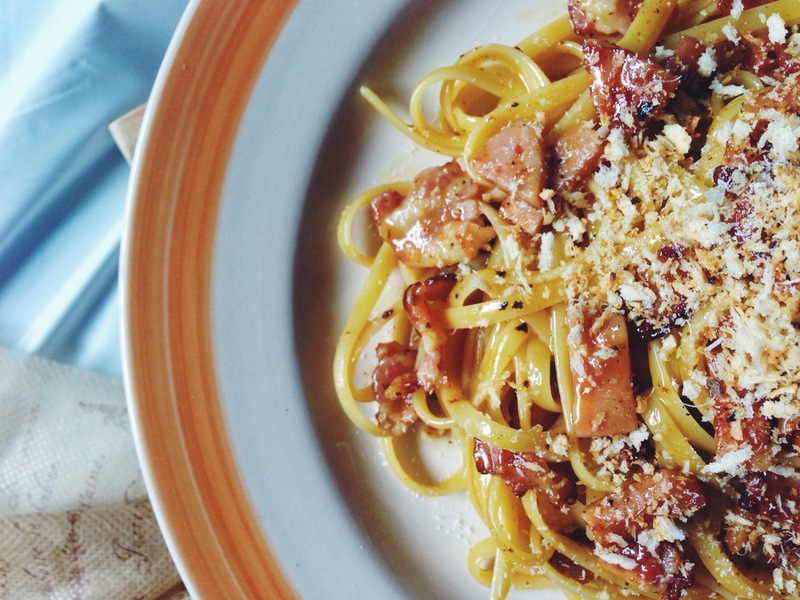 A MUST-TRY for Carbonara lovers!